THE MUSLIM TRADITIONALISTS in Afghanistan, who are hell-bent on keeping people in the 7th century, have taken to attacking teachers who teach girls, and even have gone so far as to lie in wait and shoot girls on their way to school. Read the story of Hashimi. She's been a teacher, even when the Taliban was in power and women were forbidden to teach. She was caught several times and beaten severely. But she was not deterred. Although now the Islamists are not as free to harass women teachers or female students, they still do, going so far as to kill them. Why did I give you such bad news, and what can you do about it? I want to emphasize the importance of spreading information about terrorism. And to underscore the reason we cannot allow Islamists to take hold of Afghanistan, Iraq, or anywhere else. These people are relentless, deadly serious, and totally committed. What can you do about it? You can vote, of course, but you can also make a difference in your everyday interactions. You can help by sharing what you know with others, and by working to improve how well you articulate what you know. I've said it before: This is a war of memes and you are on the front line. What the majority of people believe about terrorism and Islamic fundamentalism will decide how things turn out. You can't change what everybody believes. But you can influence what your friends believe. I urge you to influence your friends, especially the ones who think the U.S. should try to appease terrorists and pull out of Iraq. Read how here: Influencing Your Friends. An articulate rant that says something important is a beautiful thing to behold. Wafa Sultan achieves it in this clip. The following is an article By Serge Trifkovic and we reprint it here with his permission. The husband routinely beat his 26-year-old German-born wife, mother of their two young children, and threatened to kill her when the court ordered him to move out of their apartment in Hamburg. The police were called repeatedly to intervene. The wife wanted a quick divorce – without waiting a year after separation, as mandated by German law – arguing that that the abuse and death threats she suffered easily fulfilled the “hardship” criteria required for an accelerated decree absolute. The judge – a woman by the name of Christa Datz-Winter – refused, however, arguing that the Kuran allows the husband to beat his wife and that the couple’s Moroccan origin must be taken into account in the case. They both come from a cultural milieu, Her Honor wrote, in which it is common for husbands to beat their wives – and the Kuran sanctions such treatment. “The [husband’s] exercise of the right to castigate does not fulfill the hardship criteria as defined by Paragraph 1565” of German federal law, the judge’s letter said. [emphasis added] The judge further suggested that the wife’s Western lifestyle would give her husband grounds to claim his honor had been compromised. The reports in German and English do not state this, but Turkish papers have reported that the judge made specific reference to Sura 4, which contains the infamous Verse 34: Men have the authority over women because God has made the one superior to the other, and because they spend their wealth to maintain them. Good women are obedient. They guard their unseen parts because God has guarded them. As for those from whom you fear disobedience, admonish them and send them to beds apart and beat them. The wife’s lawyer, Barbara Becker-Rojczyk, could not believe her eyes: a German judge was invoking Kuran in a German legal case to assert the husband’s “right to castigate” his wife. The meaning was clear: “the husband can beat his wife,” Becker-Rojczyk commented. She decided to go public with the case last Tuesday because the judge was still on the bench, two months after the controversial verdict was handed down. The judge was subsequently removed from the case, but not from the bench. A spokesman for the court, Bernhard Olp, said the judge did not intend to suggest that violence in a marriage is acceptable, or that the Kuran supersedes German law. “The ruling is not justifiable, but the judge herself cannot explain it at this moment,” he said. But according to Spiegel Online this was not the first time that German courts have used “cultural background” to inform their verdicts. Christa Stolle of the women’s rights organization Terre des Femmes said that in cases of marital violence there have been a number of cases where the perpetrator’s culture of origin has been considered as a mitigating circumstance. In reality “mainstream Muslims” do nothing of the sort. New York Times’ claim notwithstanding, the original sources for “true” Islam—the Kuran and Hadith—provide ample and detailed evidence on Islamic theory and the sources of Shari’a practice that remains in force all over the Islamic world today. Such a woman has no remedy except removing her spikes and destroying her weapon by which she dominates. This weapon of the woman is her femininity. But the other woman who delights in submission and being beaten, then beating is her remedy. So the Qur’anic command: ‘banish them to their couches, and beat them’ agrees with the latest psychological findings in understanding the rebellious woman. This is one of the scientific miracles of the Qur’an, because it sums up volumes of the science of psychology about rebellious women. Such treatment of women might be expected to make Islam abhorrent within the cultural milieu epitomized by the equal-rights obsessed European Union and the neofeminist New York Times, but this has not happened. There is a reason for this. It is the refusal of Islam to accept the wife as her husband’s closest and inseparable loving partner and companion. Islam therefore challenges Christian marriage in principle and in practice. Muslim teaching on marriage and the family, though “conservative” about “patriarchy,” denies the traditional Christian concept of matrimony. Islam is therefore an “objective” ally of postmodernity, a few beatings here and a few rapes there notwithstanding. “I can only say, Good night, Germany,” says Ronald Pofalla, general secretary of Germany’s ruling Christian Democratic Union, of Frau Datz-Winter’s ruling. Unless the madness is checked it will be good night to us all well before this century is over. Read more about how Sharia law is slowly being implemented in the West. AN UNBELIEVABLY LARGE PERCENTAGE of people in democratic countries think Islamic terrorists are killing people because they're angry. The terrorists don't want U.S. forces in Iraq. They don't want the U.S. to support Israel. They're angry about these things, so they attack. But as I said in a recent post, that is not why they are attacking. They are in a war, Muslims against Infidels (and against moderate Muslims). Whatever the West does, the terrorists will criticize it and use it as an excuse, but they will keep attacking, and they will keep trying to find bigger weapons to attack with. It doesn't matter what we do. What matters is that we're not fundamentalist Muslims. I just read a gruesome article from the Middle East Quarterly called Beheading in the Name of Islam. I will quote something from it here, and then I have something to say about the quote. In Iraq, terrorists filmed the beheadings of Americans Nicholas Berg, Jack Hensley, and Eugene Armstrong. Other victims include Turks, an Egyptian, a Korean, Bulgarians, a British businessman, and a Nepalese. Scores of Iraqis, both Kurds and Arabs, have also fallen victim to Islamist terrorists' knives. The new fad in terrorist brutality has extended to Saudi Arabia where Islamist terrorists murdered American businessman Paul Johnson, whose head was later discovered in a freezer in an Al-Qaeda hideout. A variation upon this theme would be the practice of Islamists slitting the throats of those opponents they label infidels. This is what happened to Dutch filmmaker Theo Van Gogh, first gunned down and then mutilated on an Amsterdam street, and to an Egyptian Coptic family in New Jersey after the father had angered Islamists with Internet chat room criticisms of Islam. As you can see, these victims were not all U.S. soldiers and Jews. Why are they killing all these people? Because the victims are either infidels or moderate Muslims. The article points out that the purpose of terrorism is to gain political concession. The terrorists behead these people (as opposed to poisoning them) and film it, in order to terrorize. They're trying to gain political concessions. Ideally, they'd like all Western and Jewish forces out of the Middle East, so they can consolidate their power and establish an Islamic empire. In an Islamic empire, they will try to live by Sharia law, as the Taliban did in Afghanistan. They will try to follow the Koran devoutly. One of the commands of the Koran is to make war on Infidels until the whole world submits to Islam. I'm not making this up. As far as I can tell, a little under half the West does not understand this. You come into contact with these people every day. A massive campaign of information dissemination needs to take place, starting with you and me, right where we are. Explain to people what's happening. If they don't believe you, loan them your copy of whatever you have (here are my recommendations), or send them links to whatever think will help them understand. The Short Answer (to the question, "Why is there so much Islamic terrorism these days?" WESTERNERS, AS A RULE, do not appreciate the fact that someone is at war with us. This is not like other wars. This is not one country against another. This is one ideology against all others. It is hard to recognize as a war because the attacks are not concentrated in time or space. They are happening all over the world, almost continually, but at different times by different people, different races, from different countries, and attacking at different places, in what seems to be almost random violence. So we call it terrorism. But they call it war. And while it is hard to recognize as such, I have found a little video clip that makes plain the larger picture. This is something to share with friends of yours who don't seem to get it. If you spoke one word every two hours, I might not be able to understand your message. But if I wrote down each word you spoke, and then read it all at once, your meaning would be clear. This is similar to the clarity you get in this film. You can see very clearly that a large group, spanning the globe, are very intently waging war, not only on your country, but on every country that is not Islamic. They are not trying to steal anything of yours or occupy your country. They are only interested in the destruction of your culture, and to insure their own ascent into heaven. They are willing to let you live if you convert to a Muslim. Militant Islam expanded across the earth like an explosion when it came on the scene in the sixth century. Muslim warriors invaded and conquered North Africa, the Middle East, Central Asia, and major parts of Europe. Their expansion was finally stopped by force of arms. They were conquered and beaten back over the centuries, and then, because of European colonizing projects all over the world, Islamic countries were divided and held down. But colonization has been abandoned as a practice, much as slavery was, because it is unfair. And now militant Islam is expanding. The attacks are increasing. More attacks in more places, and deadlier attacks over the last few decades as the movement gains momentum. With new technologies, the Islamists' ability to connect with each other has improved enormously. They are on the rise. And whatever grievance they use as the public excuse du jour, they have one ultimate aim: An Islamic world. This is not going to go away. They are completely committed. They are deadly serious. They are recruiting with frenetic zeal. And they are growing in numbers. They are out to kill us all. Any non-Muslim is an enemy to these people. Even non-fanatical Muslims are enemies to these people. It's not a comfortable fact, but there it is. If we ignore the situation, it will only get worse. What should be done about it? That's the big question. The following is an article by David Yerushalmi from the web site SaneWorks.us. We are reprinting it with permission. THE QUESTION MIGHT BE ASKED: why would SANE’s president David Yerushalmi provide pro bono legal services to give Muslims a voice? The answer lies in the distinction between Islam as a personal religious faith and the religio-political ideology of traditional and authoritative Shari’a which has everything to do with the survival of the West. The question has been asked of me by good and serious men: Why would I have undertaken to represent ABG Films, and done so pro bono, to give voice to moderate Muslims? The question appears, and I underscore appears, to take on greater import in light of SANE’s sponsorship of our Mapping Shari’a in America project and our call that historical, traditional and authoritative Shari’a amounts to a violation of 18 USC 2385, the text and discussion of which is below. So, let me begin by explaining my reasons for taking on the case of freeing the documentary “Islam vs. Islamists” from those who would suppress it and explain why it is a fit with SANE’s work. To begin, the men behind ABG Films, Frank Gaffney, Alex Alexiev and Martyn Burke, are serious, dedicated film makers seeking to establish a discussion about the growing problem of violence and intimidation within the Muslim communities of the West. This is work we certainly support. Their motivation of course includes protecting those patriotic and westernized Muslims who call America their home and desire nothing more than to live peaceful and prosperous lives as fully committed Americans. When I read about the controversy surrounding the film and understood that the PC Elite had effectively joined hands with those forces and institutions in the Muslim world which seek to impose traditional Shari’a (loosely understood as Islamic law since it also includes what in the West we would term customs and even preferences) as the sole criteria for what a Muslim can do and believe, I decided to offer my services as my contribution to the effort to make it possible for the patriotic Muslim voices of the West to be heard. And the reason is because they should be heard. For that reason I chose to lend my legal skills and effort to the battle to free the film for a full distribution in the near term. Thankfully, we were successful and the “Second Hour”, known as “Muslims against Jihad” has already been featured on Fox News in a discussion format with my clients several times and the main film “Islam vs. Islamists” will be airing on Oregon Public Broadcasting in August and quite possibly across the country soon thereafter. A DVD deal is already in the works with a major distributor. This film “project” was not and is not in any way contrary to our work here at SANE and our Mapping Shari’a project. In fact, they are complimentary. In both our Mapping Shari’a project and in our effort to fully expose traditional and authoritative Shari’a as the most serious contemporary threat to America’s safety, we recognize that the threat arises out of traditional Shari’a’s demand to monopolize the Muslim — his world, his national affiliation, and even his very patriotism. It is this Shari’a — a fully developed religio-political ideology — that is used by the “traditionalists” to attack the patriotic and Westernized “moderate” Muslims as “not real Muslims”. It is our committed position that all Americans should stand in solidarity with any American Muslim who wishes to embrace Islam as a purely religious faith — practicing the Five Pillars (commitment to monotheism; prayer; charity; fasting; and pilgrimage) — as a committed American and who rejects traditional Shari’a which demands to control and not merely to inform the entire life of the Muslim, including his attitude about and relations toward his country. Our effort to fully expose the insidiousness of the “traditionalists” or what we term the “Shari’a-faithful” can best be explained by examining the teaching of Shari’a from the perspective of treason. Today, no serious scholar of Shari’a would deny that the goal of Islam per Shari’a (again, as articulated by the five authoritative schools) is the establishment of a world wide Caliphate ruled according to Allah’s perfect law, the Shari’a. That is simply too fundamental a concept over which to quibble. Further, all five authoritative schools of Shari’a have also codified that Jihad as war is part of that goal. 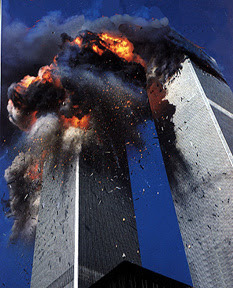 It is true that a host of issues abound around this question of Jihad, such as the notion of offensive war versus defensive; who is authorized to call for Jihad; is it a collective obligation or an individual one; what kind of tactics may be employed in this war, who are legal targets of violence, and others. But one thing is agreed between the legal schools: if war is the only viable alternative to conquering the land of the infidels, if the ratio of the forces of the infidel aligned against the Muslims are not beyond the prescribed limit, if such a war would be good for the Muslim Umma or people, and if a recognized Muslim leader calls for such a war, then war it must be. What that means of course is, that given Shari’a as it exists today and as it has existed for over 1000 years, adherents of authoritative Shari’a accept the notion of war to overthrow the US government and other Western nations given the right conditions. And, of course, we see what seems to be a never ending stream of Jihadists fully committed to this goal, which suggests that there is at least a consensus among some Muslims that the conditions have been met for war. This of course is the Smith Act of 1940, as amended. The Supreme Court has had two occasions to review cases prosecuted under the Smith Act. In the first case, Dennis v. US, 341 U.S.494 (1951), the Court heard appeals from Communist Party leaders who had been convicted of violating the Smith Act and whose conviction had been affirmed by the Court of Appeals. The Supreme Court examined the First Amendment and other constitutional challenges, was unpersuaded, upheld the statute as constitutional, and affirmed the convictions. The second time the Court took a look at the Smith Act was six years later in the case of Yates v. US, 354 U.S. 298 (1957). By this time, however, the Court was now under the spell of Chief Justice Earl Warren and the other liberal Justices of the time. They had already tested their mettle in Brown v. Board of Education some three years earlier. The question might have been reasonably asked, would the Court sustain the legislation in the face of a First Amendment challenge and effectively overrule Dennis? The Court delivered its answer by not even addressing the First Amendment issue. What the Court did do was to limit the Smith Act to cases where the advocacy for the overthrow of the government was more than merely theoretical and to require a real nexus between the advocacy and some action that was being urged to achieve the treasonous goal. Now, if we were to take into consideration that the Jihadists who cite Shari’a do so to advocate the violent overthrow of the US government, one might well argue that this alone satisfies the condition under the Smith Act for a criminal conviction even under the Yates holding. The argument is fairly straightforward. The Jihadist, following Shari’a, teaches that the purpose of Islam is the submission of the world to Allah’s will as expressed in his perfect law, the Shari’a. Further, anyone who teaches that the Muslim must be faithful and adhere to the traditional and authoritative Shari’a is advocating in effect precisely the same thing. Jihad, which most certainly includes the use and the advocacy of the use of violence in the effort to overthrow the infidel government, is an obligation on the Muslim, either as part of the collective or as an individual. By virtue of the fact that this is a religious instruction and understood to be a call to action — to live by the Shari’a fully and faithfully — and not merely some theoretical theological or political discussion, the call to observe traditional and authoritative Shari’a is the call to arms in a clear and decisive way. It would be hard to understand how this would not be a prima facie violation of the Smith Act. And, it would seem that for the patriotic and peaceful Muslims, the application of this statute to Shari’a would be welcomed. Once the government announced its intention to use this legislation or something similar to it (such as the SANE Immigration Proposal), the religious, moral, and institutional sway of the traditionalists demanding strict observance of Shari’a would come to an end. This would certainly be true in countries that took this approach. No more would “moderate” Muslims have to compete for the pulpits in their mosques. No more would they have to suffer the political tirades during Friday prayers, the explicit threats or even the implied threats. They would have total freedom of movement to claim their religion from the Shari’a advocates and demand a new understanding, a wholesale reformation, fully in line with the US Constitution and our representative government. While this would not arrest the call for Jihad in the Middle East and other Muslim countries, it would certainly clean things up in the Homeland. Without the mosques and the Islamic day schools at their disposal, the Jihadists would be forced underground and with very little room for da’wa or outreach. It is not difficult to build Jihadist cells and even networks when you can openly send your preachers from one mosque to another and when you can teach young Muslim children in private day schools to reject the law of the land and to embrace Shari’a. If that were to be illegal, the Muslim-American landscape would change almost overnight. The Shari’a-advocacy organizations like CAIR could be shut down on the spot. The Fiqh Council of North America would have to reject traditional Shari’a, renounce the very notion of a world under the control of Shari’a, and begin building a new fiqh based upon Western principles. The alternative: face closure and even prosecution. Will this proposal be controversial? Of course. But it will be for two reasons. One, people of good will might very well react negatively to the idea that you could outlaw anything to do with religion. But this objection need not be given much weight if these same good people think through the proposal. Private, peaceful religious faith is untouched. A Muslim who wishes to pray toward Mecca or even a women who wishes to cover herself with a hijab would be free to do so. What would be illegal would be the advocacy or teaching of these acts of religious faith as a legal obligation arising out of traditional Shari’a as we have defined it. Two, people of bad faith, both those Muslims with a Shari’a-driven agenda and the Open Society PC Elite who advocate “tolerance” to the point of self-destruction would join hands in the convergence we already see at work today and which I contend was at work with the suppression of the ABG Films documentary. At the very least, the proposal deserves a fair and considered hearing since there appears little the West can do given its current approach to multi-culturalism and the Open Society. As we see so vividly in Europe, the Jihadists know full well how to exploit this national self-destructiveness. In America, we can witness the same modus operandi with CAIR. 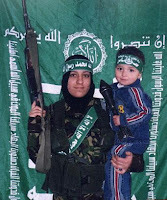 Even as the organization’s genesis arose out of terrorist links, and even as one after another of CAIR’s key people were sent off to jail or deported on terrorist-related charges, and even as it now stands as a named unindicted co-conspirator in a federal trial alleging illegal funding of a front group for Hamas, one of the world’s most murderous terrorist organizations, CAIR is given leave not only to exist, but to sue John Doe citizens for doing what patriotic citizens ought to be doing, to agitate for the insertion of Shari’a in all kinds of settings, and to issue press releases after every terrorist act against the West claiming that the only real danger is the danger of a backlash against Muslims – a backlash of course that never materializes except in isolated incidences of hooliganism. It is time to confront the source of the violence in Islam and to root it out. All Americans should join in this effort willingly and with the best of civil intentions. What is needed in this effort is dialogue but also action. It is not enough given the threat we face merely to talk about these things. It is for this reason that those Americans directly involved in SANE — Christians, Jews, and yes, some very high profile reform-minded Arab Muslims, are engaged in actually Mapping Shari’a. It is for this reason I offered my services as an attorney to ABG Films and why I represent other Muslim reformers, always pro bono, in their efforts to free the patriotic faith-based Muslim from the tyranny of a legalistic political ideology. 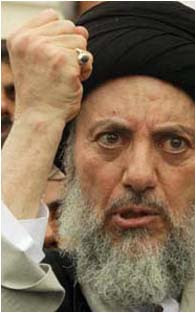 This murderous ideology was used to organize the native populations of Arabia, Damascus, and Baghdad one thousand years ago into one of the fiercest fighting forces the world has ever seen but is quite obviously a threat to the very existence of the West and the Muslims who wish to live here as patriotic and contributing members of this great nation.